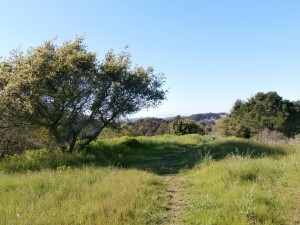 A gentle walk for beginners, in the Berkeley Hills. Walking with me as your coach and ally is an effective way to get you started on the path to self-care. When you commit to a series of walks you will, over time, build new neural pathways that link the activity with the physical pleasure of moving your body and the emotional satisfaction of having done so. Clients who have a hard time self-motivating use the external motivation of a commitment to coaching and the investment in it as a way to prime the pump. I can’t tell you how many times people nearly bailed on a walk because they were too tired or too busy or too depressed. By the middle of the walk everyone—without exception—is grateful that they rallied. Once you get practiced at pushing past your resistance, the resistance starts to melt away, and what you’re left with is the joy of taking care of yourself because it feels so good to do so! I look forward to supporting you on your path to lively health.